After the excitement of Christmas I have found it hard to adjust to regular wintery nail designs. I am already looking forward to summer when I can whip out the brightest of bright polishes and walk around with palm trees and pineapples on my nails every day! I suppose I could do this now but they wouldn't really work with my cold weather outfits. So for now I am sticking to more season-appropriate nails such as these. 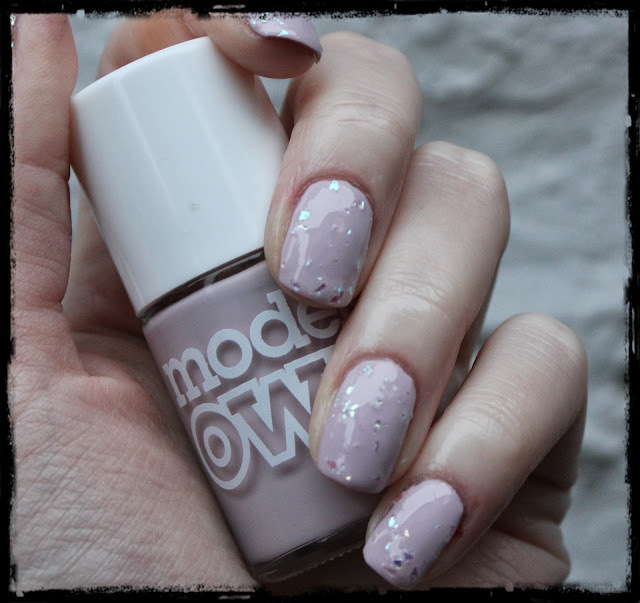 I used Models Own's Utopia and Snowflakes to create this pretty mani. I was really disappointed when I first purchased Snowflakes as I found it to be too sparse and didn't really suit the mint colour that it was paired with (I bought it in an Artstix duo with Jade Stone). I changed my tune when I tried it over Utopia though; it tends to work much better over paler colours. Now I love it! How are you coping with the post-Christmas lull?